Nothing ruins a beautiful lawn or yard than clutter. Clutter can come in many forms including weeds, refuse, dead leaves and other debris. That is why proper landscape maintenance and clean-up should be a priority for any home-owner. From time to time, especially after winter, a thorough yard clean-up should be undertaken to get your landscape looking great and healthy. Landscape clean-up involves getting rid of weeds, trimming shrubs and hedges, removing leaves and other debris that make your lawn unsightly. Depending on the size of your landscape, you can do a lawn or yard clean-up yourself or rent a dumpster to get the job done. For DIY home-owners, planning is key for a successful lawn or yard clean-up. Before you begin, you should have a basic idea of tasks you need to perform to get your yard in tip-top shape. Clean-up requires time and energy to set aside enough time to complete the project. You also need to have the right tools to get the job done efficiently. You should make sure you have shovels, rakes, shears and a refuse container. 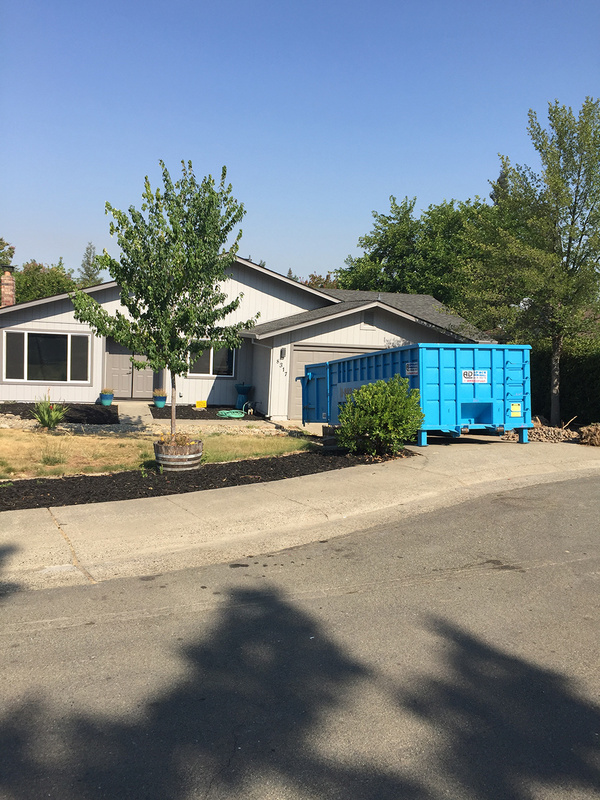 Getting rid of all the weeds, sticks, leaves, debris and other waste after a yard clean-up usually requires renting a dumpster especially after a large landscape clean-up. It is not a good idea to burn waste generated during a landscape clean-up project as this can quickly start a fire that spreads and is illegal in many cities. 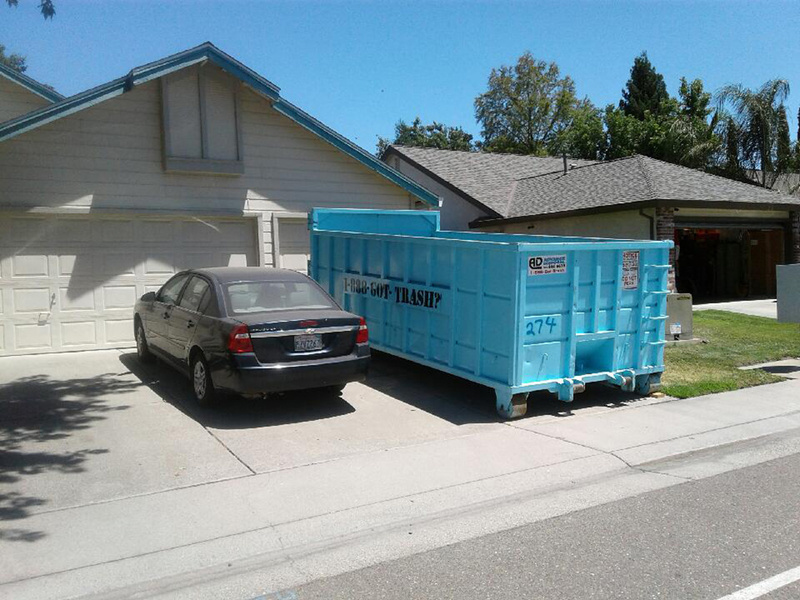 Do extensive research before choosing a dumpster rental company. You need to be sure that the company you choose offers fast, reliable service and does not sneak in hidden/extra costs. 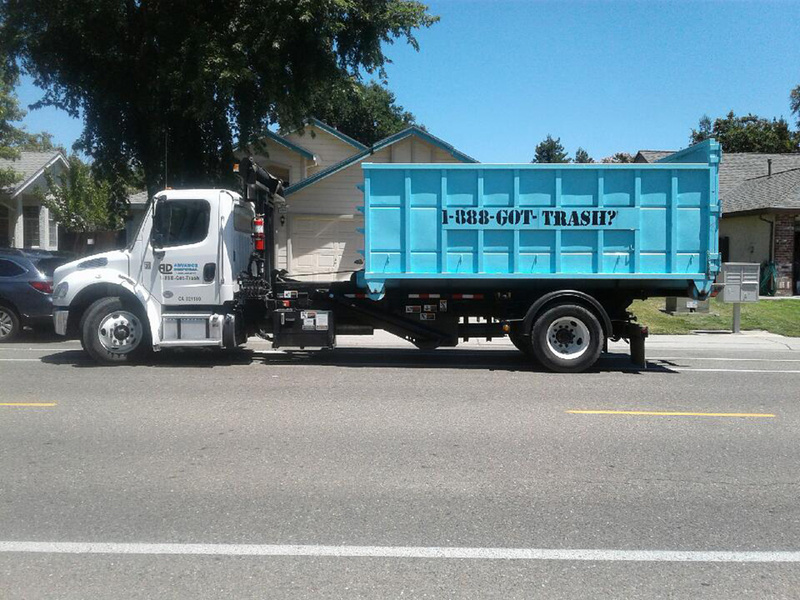 Try to avoid other dumpster rental companies as they do not usually have actual dumpster containers but are merely middlemen that outsource services to local companies which means their prices are inflated. It is best to contact a local dumpster rental company directly. 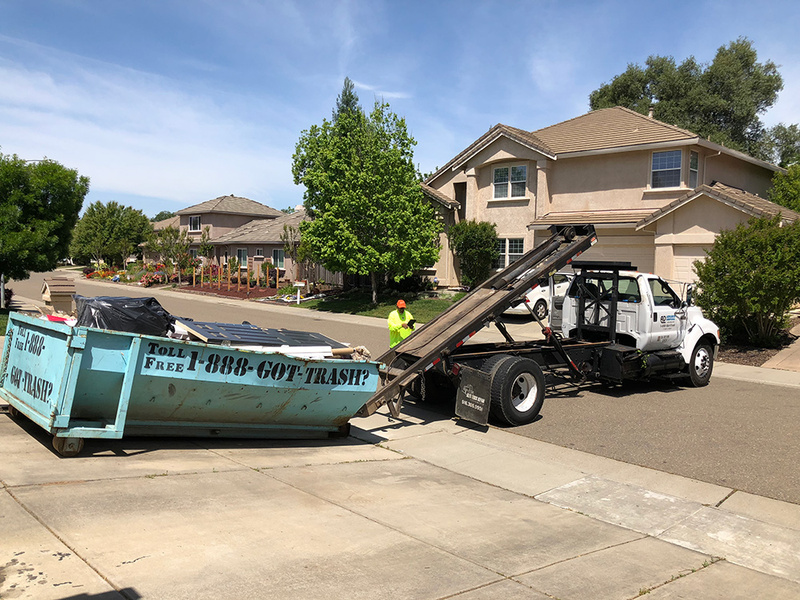 For landscape clean-up waste disposal in Sacramento and its surrounding areas, look no further than the professionals at Advanced Disposal. We have been in the waste management business since 2004 and guarantee timely and reliable dumpster delivery and pick-up. 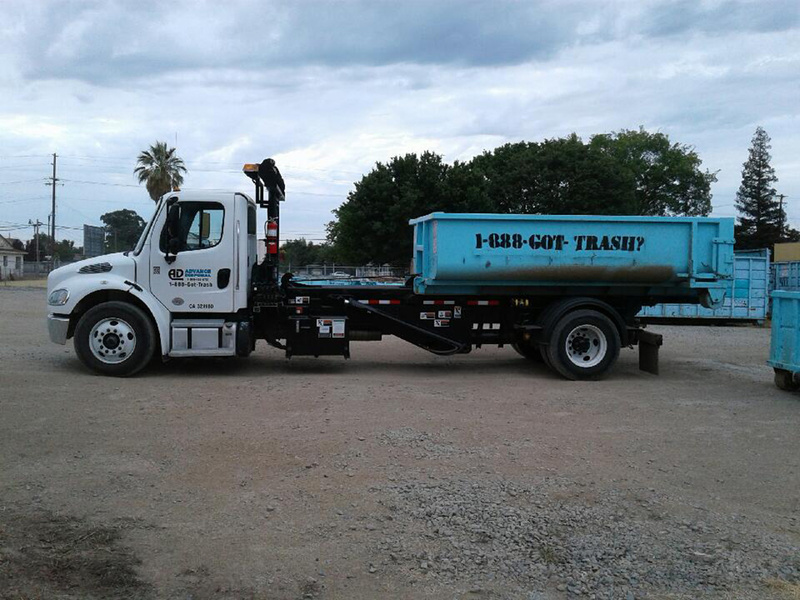 Our prices are very affordable and we are upfront about all the costs associated with our dumpster rental. Our service area is extensive and includes Roseville, Lincoln and Elk Grove. Give us a call today!